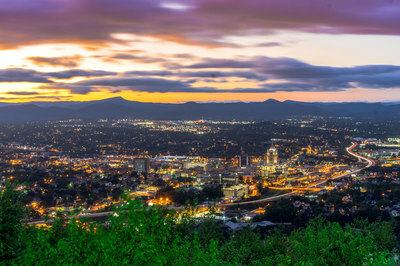 #5 - ROANOKE/VIRGINIA'S BLUE RIDGE - From the beautifully-preserved historic buildings in downtown Roanoke - now filled with interesting restaurants and galleries - to the surrounding ethereal beauty of the Blue Ridge Mountains, this region is special on Valentine's Day. 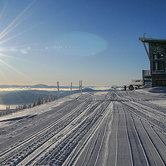 The views of city and mountains here are memorable, making for a beautiful V-Day to start with. And it only gets better. The region actually offers then great places to propose (and what better time to do it than Valentine's Day? ), among them the Mill Mountain Star, an 85'-tall man-made star of neon tubing that lights up at night, or McAfee Knob, a ledge which juts out over some of the most famous scenery in America. At the base of Mill Mountain is The River and Rail, one of Roanoke's best-loved restaurants...with good reason. Or you might enjoy a feast (and a room!) at the Hotel Roanoke, an historic local institution with Old South ambience and elegant dining. This region is one of the burgeoning wine centers in America, as well, and a drive down the beautiful Blue Ridge Parkway will lead you and your sweetheart to Chateau Morrisette Winery, where the cuisine is just as wonderful as the wines. Also, Big Lick Brewery is holding a Big Lick Valentine's Beer Dinner, putting a new twist on an old holiday. For another new twist, you can celebrate at a production of "My Fatal Valentine - Murder Mystery Dinner Theatre," at Mountain View Center. But, really, anywhere you celebrate Valentine's Day in Roanoke/Virginia's Blue Ridge, you'll be celebrating it amongst beautiful, dream-like scenery. 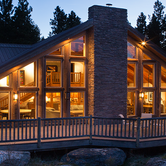 #4 - LATIGO RANCH, KREMMLING, COLORADO - Situated in the Arapaho National Forest, in the Colorado Rockies, Latigo Ranch offers a different type of Valentine's Day experience. 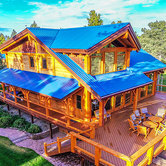 This is the real McCoy - an authentic, family-owned ranch with 75-mile views reaching out to the Continental Divide, which has been called one of the Top 50 ranches in the world. Here, they celebrate Valentine's Day Western-style! 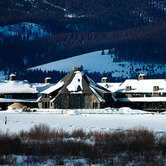 For example, while the surroundings are Western, the cuisine is gourmet. And on Valentine's night, you might be served grass-fed ribeye filet, Colorado lamb chops, or Bison Flank Steak Roulade, each surrounded by gourmet sauces and sides and garnishes. Before dinner you may want to grab a glass of fine wine from the lodge, and watch a spectacular Rocky Mountain sunset with your Valentine from the deck, with frosty views of some of the most beautiful country in North America. Or, you might decide to celebrate the day inside your cabin, with a roaring fire in the hearth and a great bottle of wine. 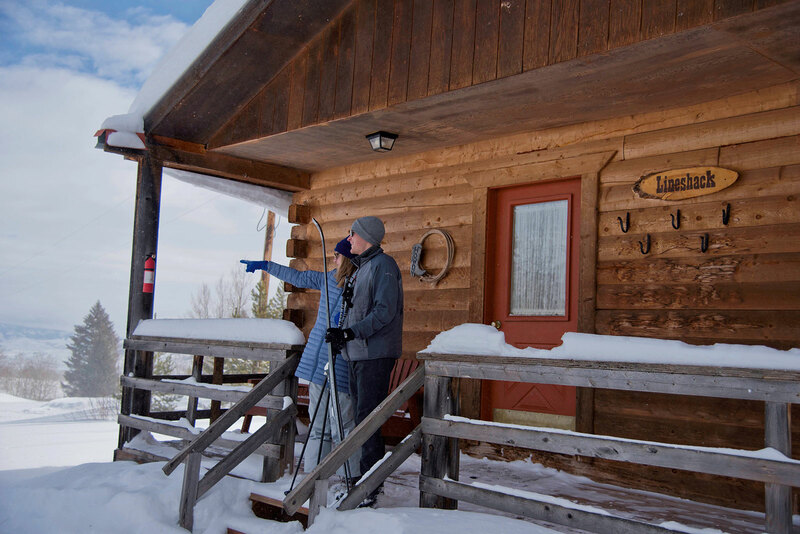 At Latigo Ranch, you can choose an active Valentine's Day, too, with cross-country skiing or snowshoeing on over 50 miles of sparkling virgin snow trails. So...grab your favorite cowboy or cowgirl and git along, Lil' Doggie, to Latigo Ranch! 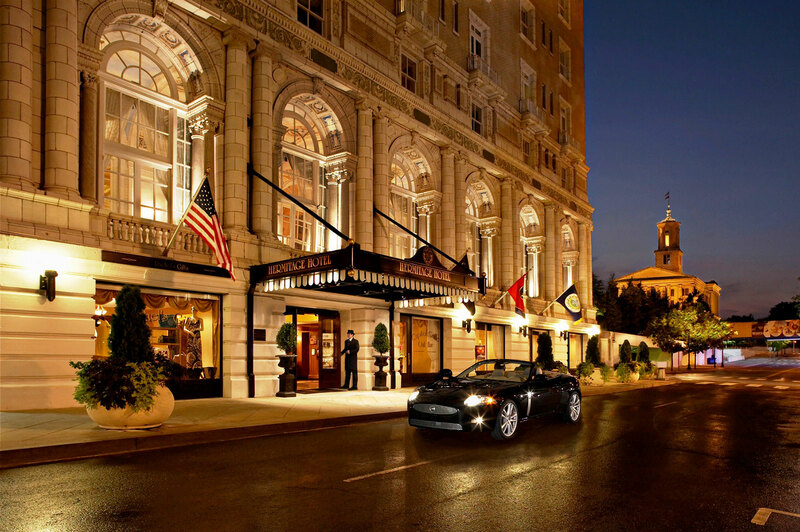 Everything about Nashville's Hermitage Hotel bespeaks elegance and romance. #3 - NASHVILLE, TENNESSEE - While Nashville is, of course, the country-music capital of the world, the city has a definite romantic side to it, as well (along with definite culinary, cultural, and historic sides!). A walk down Broadway, especially on a weekend night, is like no other in America; the street is lined with colorful Country honky-tonks, with great music and joyful laughter coming out of every doorway. And Broadway - all of Nashville, in fact - lights up with a special glow on Valentine's Day. In fact, DatingAdvice.com named Nashville the most romantic city in America. 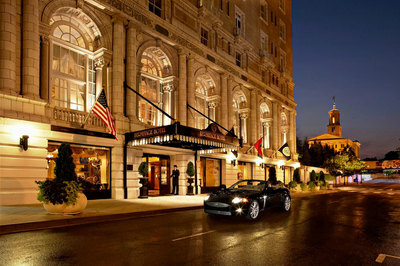 Several of the city's top hotels are offering romantic packages for Valentine's weekend, among them the "Be My Valentine" package at Thompson Nashville and "In Love In Nashville" at iconic Union Station, once an historic train terminal and now one of the city's great hotels. 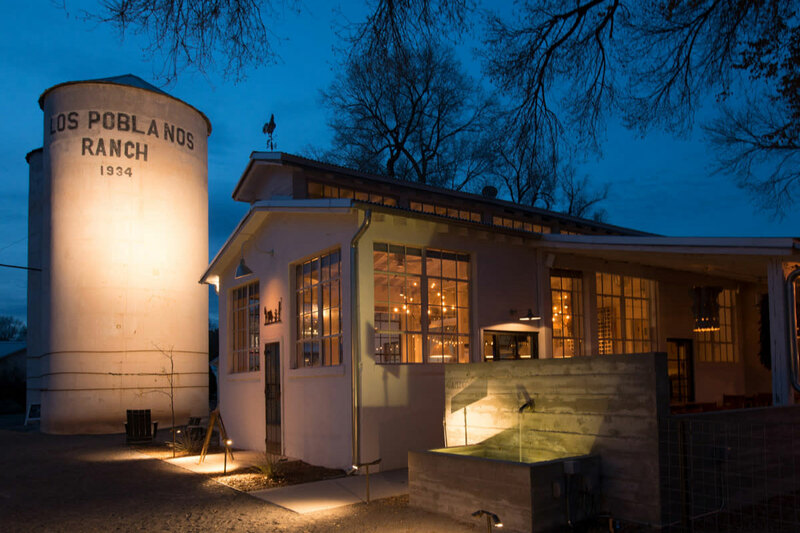 The highly-regarded Adele's Nashville Restaurant will be among those offering romantic packages for the weekend. You might check out The Bluebird Café's "An Evening of Romance," and you should probably also consider a romantic "Valentine's Evening Cruise" on the General Jackson Showboat. Special events include all types of cooking classes; "Valentine's Chocolate and Craft Beer" at the Tennessee Brew Works; "Valentine's Wine On the Rails" at the Tennessee Central Railway Museum; and "Cupid's Crawl," a Valentine's Day bar crawl. And, of course, that wonderful music coming from the live bands all along Broadway. 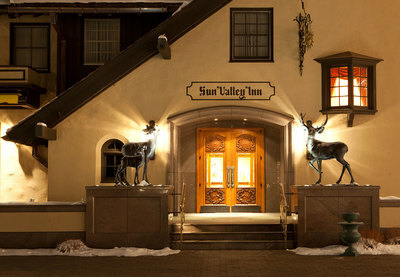 It's warm and intimate and inviting at the Sun Valley Inn. #2 - SUN VALLEY RESORT, SUN VALLEY, IDAHO - When Sun Valley Resort opened its doors in 1936, it became the first destination-resort in America. 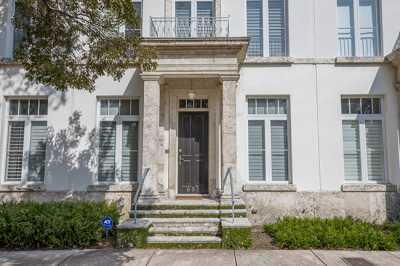 And within a year or two of that opening, it was hosting Hollywood celebrities like Gary Cooper, Clark Gable, Ingrid Bergman, Claudette Colbert, Tyrone Power, Jane Russell, Van Johnson, Ray Milland, industrial titans such as Henry Ford, and kings, queens, prime ministers and Presidents. 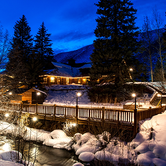 This place oozes romance, from its world-class facilities and its magnificent mountain surroundings...especially in winter, when the snow gives the town of Sun Valley a warm, intimate glow. You can start off your Valentine's weekend here with a couples massage in the luxurious spa, with a $50 voucher to help you out. For Valentine's Day, the resort is offering specials such as the Simply Suite Experience, with a couples massage, glasses of champagne and a sweet treat; or the Couples Suite Retreat Experience, including massages, lunch, and a gift to take back home. 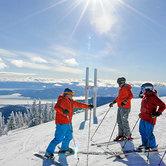 Valentine's weekend will also feature a special five-course dinner and complementary glass of wine at the Roundhouse, at a breathtaking 7,700 feet with views you'll never forget. Also, Gretchen's Restaurant will be offering V-Day specials such as Crab Tagliatelle and Chocolate Fondue. And, for the perfect romantic touch, the Opera House will be having a special showing of "Love Actually" on the big day. Los Poblanos is an historic inn and farm with a warm, Old New Mexico ambience. #1 - ALBUQUERQUE, NEW MEXICO - Albuquerque's sort of romantic to begin with, with unique terrain, textures and colors you can't find anywhere else in America. The downtown is a colorful mix of Western and beautifully-preserved Art Deco buildings. There are beautiful - and very unique - hotels such as Andaluz, a local landmark built by Conrad Hilton in 1939, with a lobby and restaurant and private entertainment rooms downstairs that seem more like you're in Morocco than in New Mexico, and a whimsical mixture of Deco and Retro in the guest rooms upstairs. There's another hotel, however, that emphasizes that you're in New Mexico. That would be Nativo Lodge, perhaps America's most unusual hotel, with Native American artwork displayed in brilliant colors on the walls - not hanging from the walls, but actually painted on the walls! - and ceilings. And, of course, an Albuquerque sunset is magical, with a burnt-orange ball sinking into a horizon behind purple-tinted mountains. Albuquerque being the hot-air balloon capital of the world, it's appropriate to have a Valentine's Day fest called the "2019 Friends & Lovers Balloon Rally." Pueblo Harvest Restaurant celebrates Valentine's Day with unique dishes with ingredients used by Native-Americans before European contact, and pairs them with special wines in its "Pre-Contact Valentine Wine Pairing Dinner." Los Poblanos Historic Inn & Organic Farm, by the Rio Grande River, has a special Valentine's Day package that includes dinner and special wine pairings at the excellent farm-to-table Campo Restaurant, turn-down treats from the Campo bakery, and your choice of couples yoga or a tour of the wonderful farm on the premises. At an intimate venue called Tablao Flamenco, you can pair authentic Spanish cuisine with the color and the passion of the flamenco dancers and musicians for a romantic Valentine's Day, Spanish-style. And if you're in the mood for a romantic stroll with your partner, take it in the Nob Hill neighborhood, filled with funky, colorful shops and very cool eateries such as Zacatecas, a colorful swirl of Mexican art and folklore, with amazing specialty drinks and some of the best-tasting Mexican food you'll ever experience.